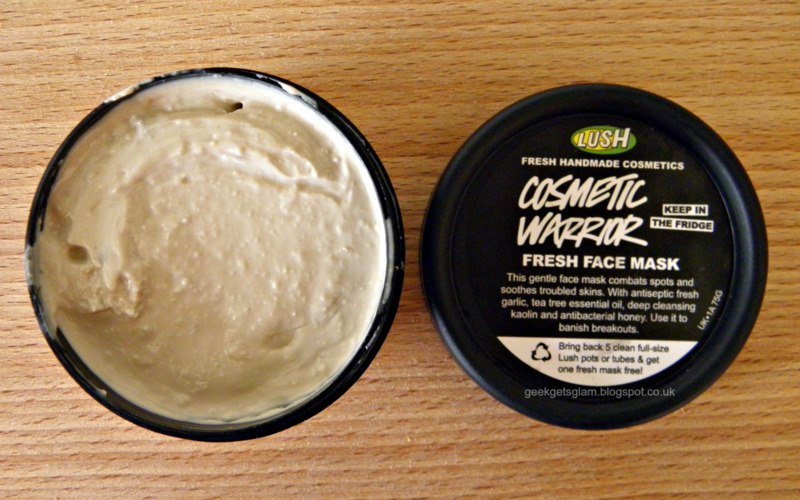 My skin has gone crazy at the moment so it was suggested that I give the Cosmetic Warrior a try. I'm so glad I did! Like I said, I did use this years ago when I had quite good skin and didn't go back to it as I felt it didn't do much at the time. Now my skin is oily/combination and the smallest thing will cause a break out. 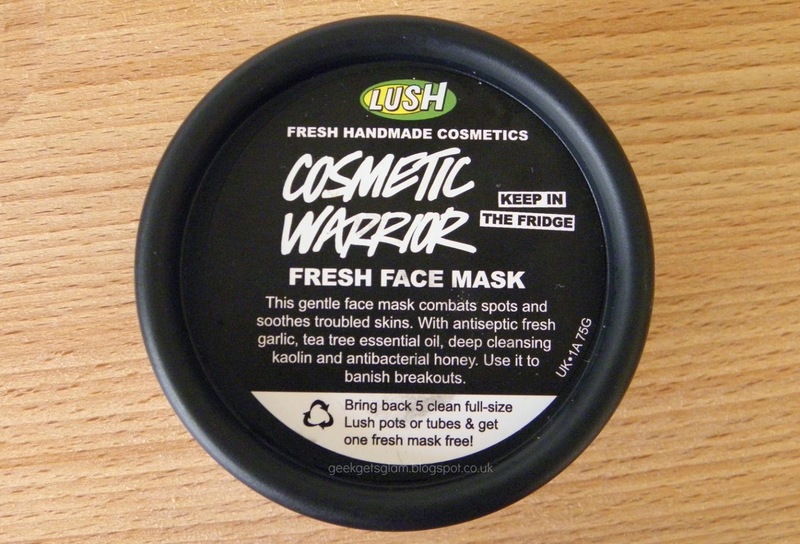 The idea behind Cosmetic Warrior is that it will fight off any nasty break outs that occur when your skin is feeling unhappy. It contains garlic to cleanse the skin, tea tree oil as an antibacterial and antiseptic, and honey which is an amazing moisturiser and antibacterial product. This is an important one to keep in the fridge as it contains fresh eggs too which tighten the skin. I know what you're thinking - garlic AND eggs? No way is that going on my face! It's honestly not that bad though... 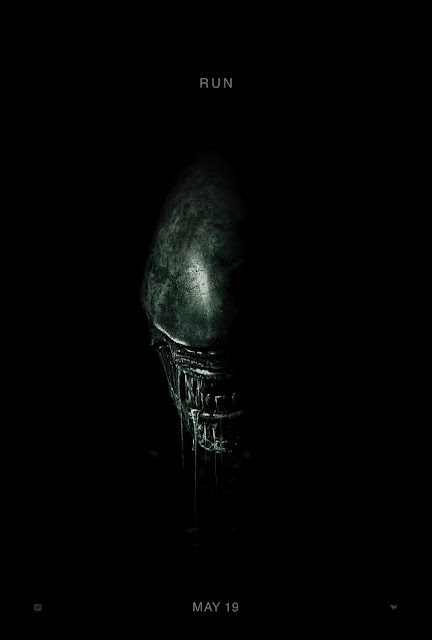 I could barely smell the garlic and the scent doesn't stay on the skin after washing the face mask off. 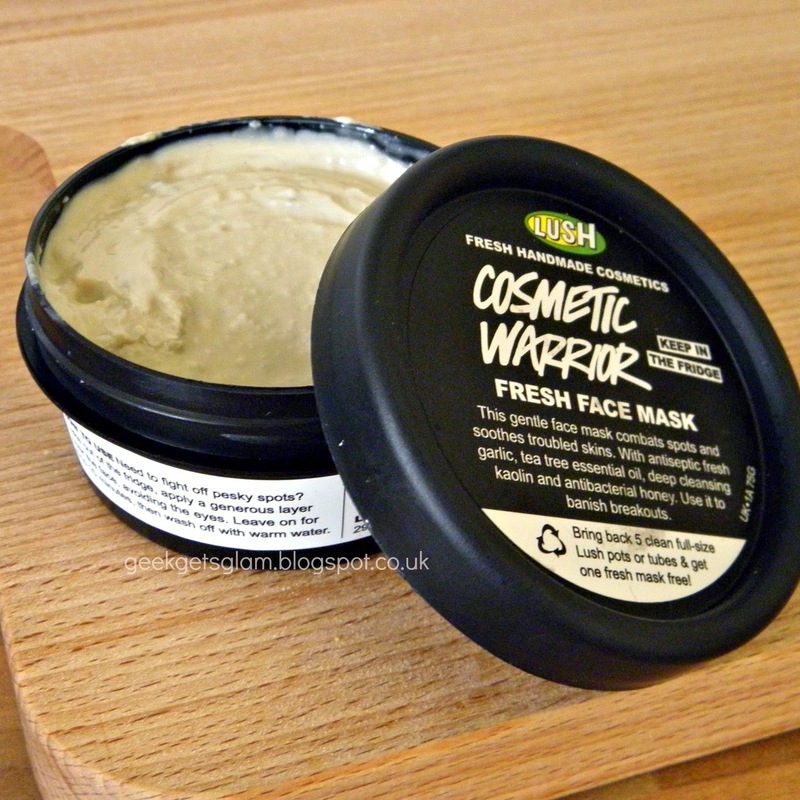 I used Cosmetic Warrior in the bath so left it on for a good 20 minutes (the pot says 5 - 10 mins) and I have to say I was thoroughly impressed. My skin generally looked much better after using the mask as it was less red, a lot less oily and felt very clean. My spots were still there however they looked better too and I think if I continued using the mask it would help eliminate them.